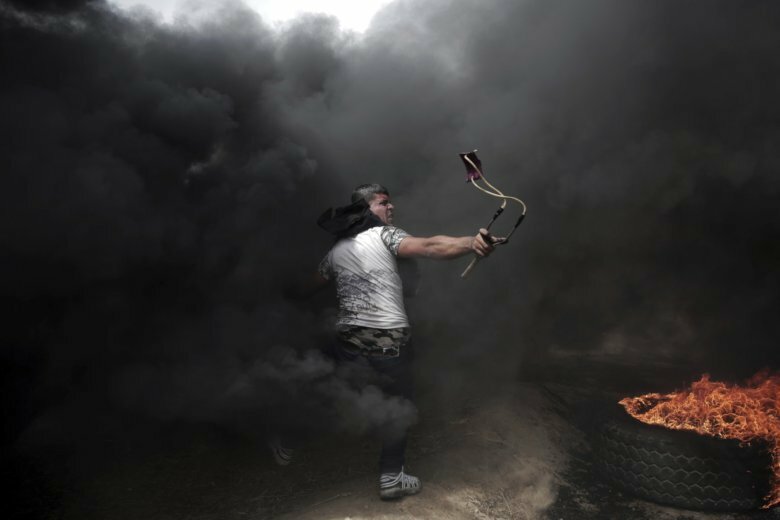 CAIRO (AP) — Khalil Hamra, a Pulitzer Prize-winning photographer for The Associated Press, is exhibiting his work in a show titled “Why Gaza?” at the 30th annual Visa Pour L’Image photojournalism festival in Perpignan, France. The exhibition runs through Sept. 16. In 30 photos on display, Hamra shows the resilience of people in his native Gaza, a sliver of land on the Mediterranean Sea that measures just 360 square kilometers (140 square miles). Gaza’s 2 million residents have endured 11 years of border blockade, imposed by neighboring Israel and Egypt after the takeover of the territory by the Islamic militant group Hamas in 2007. Hardships have worsened with each year of the blockade, including power cuts for most of the day, soaring unemployment and a health system on the brink of collapse. The festival highlights photojournalism from around the world in exhibits, screenings, lectures and workshops. The event, held in the Mediterranean town of Perpignan near Spain, draws photographers, editors and industry celebrities. Hamra joined AP in 2002. He has covered the Arab Spring in Egypt, civil war in Syria and the ongoing Israel-Palestinian conflict. Here is a selection of his photos from Gaza.